Guess who!?! Bet you weren't expecting me to pop up here! Don't worry, I promise I am taking it easy and following doctor's orders! Believe it or not, even though I'm still in quite a bit of pain, I'm feeling so much better than I was a month ago. I don't know how to describe it, but I just feel different. It's hard though because I actually feel like I want to do stuff now but my body isn't quite ready yet! I want to thank you all for your kind words, thoughts, and prayers recently! You guys are absolutely amazing and always overwhelm me with your LOVE! :) And you are so right... what the heck am I doing working about blogging when I need to focus on taking care of me?!? Well, I love you guys, and that's why I have to blog! Hahaha! So although I'm not up to much these days, here's this month's edition of "Currently..."
WATCHING: Catching up on lots of fun movies that my hubby bought for me for recovery including Saving Mr. Banks, Maleficent, and Mr. Peabody & Sherman. 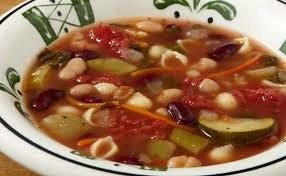 EATING: Olive Garden Minestrone. And lots of it! The people at the restaurant know us! Hahaha! My hubby is trying to perfect the copycat recipe so he doesn't have to keep going to the restaurant... It's close, but just not quite right. If anyone has any tips, please share!!!! DRINKING: lots of Powerade! One of my medications makes water taste like rocks (Yuck!) so I've been trying to stay hydrated with Powerade. MAKING: not a whole lot... dabbling a bit here and there, but I still can't do a whole lot yet. PLANNING: for some company over the holidays. My mom is visiting for Thanksgiving and my dad is coming for Christmas. Ummm.... the problem is that this place is in no shape for having visitors! Yikes! FEELING: grateful that all went well with surgery. Just a few minor hiccups with recovery, but everything is looking really good so far! ENJOYING: the long and lazy days... I know this time is going to go quickly, so I'm trying to savor it!